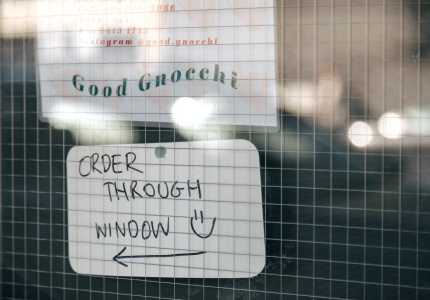 It first opened in the ’90s to widespread acclaim. 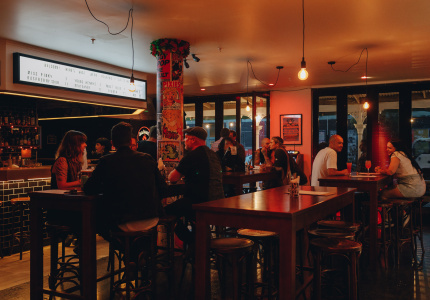 Now, with a drastic menu and design overhaul, Teage Ezard’s acclaimed Flinders Lane eatery strides confidently into 2019. A meal at Ezard unravels slowly. Stage one is finding the restaurant. 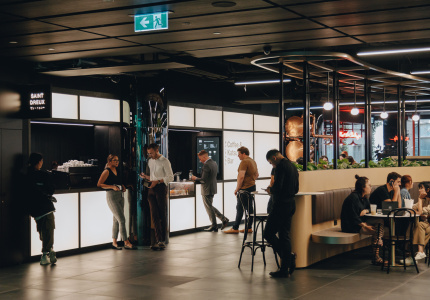 It’s discreetly located in a semi-subterranean space on Flinders Lane. Spot the vertical garden around the restaurant’s name, then follow it downstairs. Stage two is entering the restaurant. Take a moment to let your eyes adjust as you walk into the dimly lit space. A concrete walkway with colourful lights greets you. The scene is set. Everything slows down. You’re in. 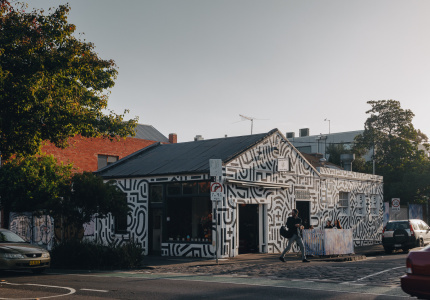 Veteran diners of the acclaimed 20-year-old eatery will be quick to point out that concrete walkway is carried over from the original. But otherwise, Ezard’s refurb by Studio Round has been generous. 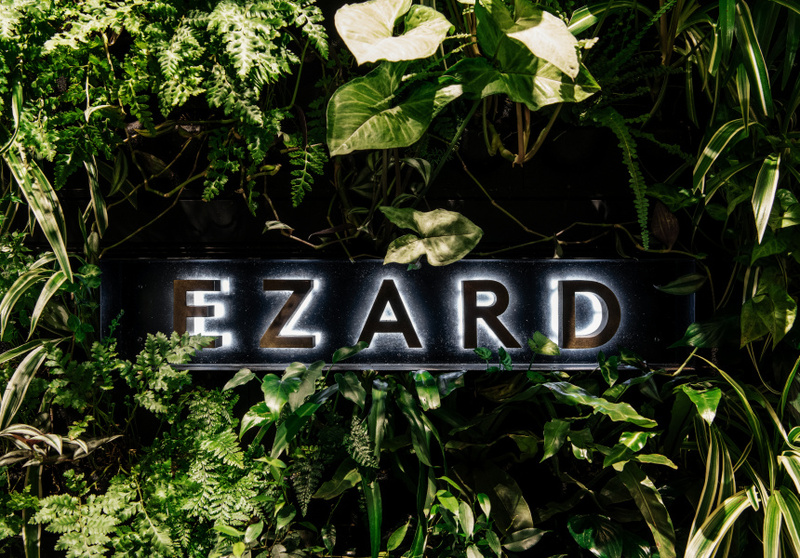 Ethereal silver curtains conceal the street-level alley outside, black padded booths wrap around the back of the narrow space, gum leaves (Ezard’s new logo) are splashed about. A large banquet table at the front of the restaurant sits under a giant chandelier made from twigs. The place has style. 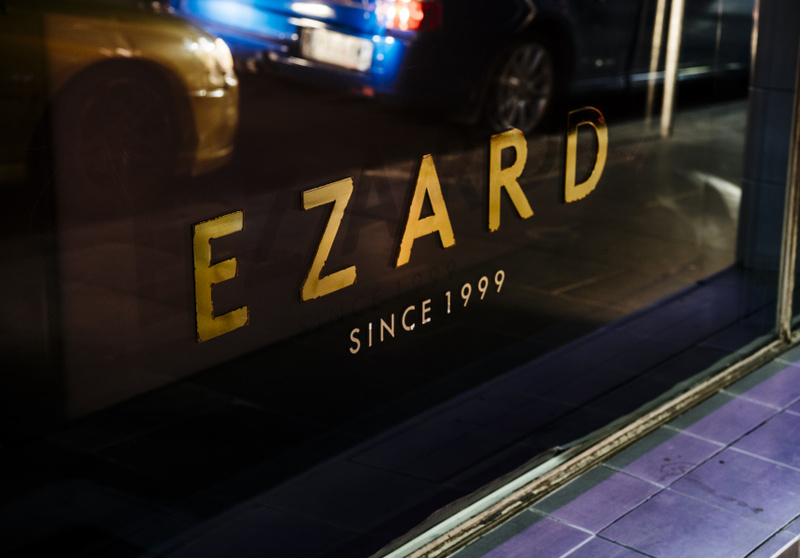 Seasoned gourmands need no introduction to this Melbourne stalwart; Ezard has been running since 1999 and has, more or less, maintained its reputation as one of Melbourne’s preeminent fine diners. But it’s undergone significant change in the past few months. In 2017, Ezard slowly began to evolve, taking its Australian-slash-Southeast Asian menu into more concise, more refined territory, but until recently, while there were many words to describe Ezard’s menu, modish wasn’t one of them. Now, the food’s been transformed again, this time radically. 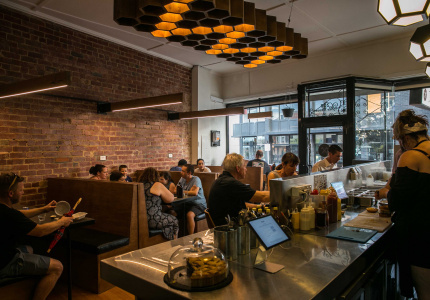 Signature dishes such as oyster shooters and elements such as parmesan oil that have been on the menu for almost two decades have now stepped aside to make way for change. For those opting for the five- or eight-course tasting menu (there’s a la carte too), the unravelling begins anew. Two bite-sized snacks come hidden among pebbles and gumnuts on crockery by Andrei Davidoff. The first is a toasted rye cracker with yuzu curd and cured salmon roe, the other is a puffed celeriac crisp with cultured goat’s milk. The “excitement”, as Ezard calls it, sets a tone that he and head chef Jarrod Di Blasi have clearly put a lot of thought into. Next, warm slices of Cobb Lane sourdough, nori-bonito salt and cultured butter. From here, each course builds in theme and intensity. 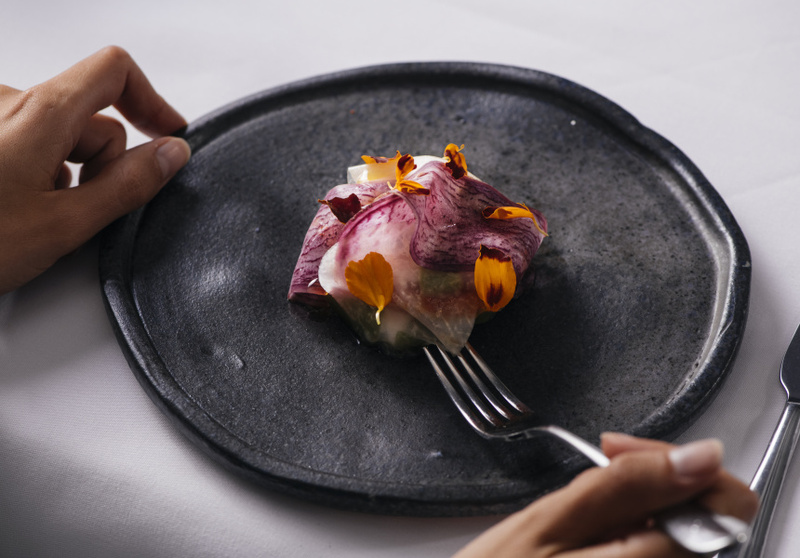 Kingfish is delicately wrapped like a rose with thin slices of preserved cucumber, with avocado, cultured goat’s milk and puffed rice inside. Save maybe for the punchy fermented chilli, it’s so light you could call this a palate cleanser. Next, a play on a more textbook Ezard trope: Murray cod, rice noodles and Chinese broccoli in an aged hon-mirin dressing. Then choose from medium-rare Chinese-style duck with black rice, roasted chilli, Japanese turnip and spring onion, or eight score Sher Wagyu with mushroom ketchup, Comte croquette, smoked ox tongue and fermented onion. Dessert is the loudest course of the meal: a rich, dark take on a Caramello chocolate bar served with a scoop of raspberry sorbet and small pile of salt for self-seasoning. 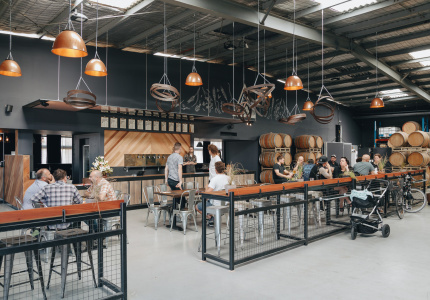 Wine parings include JC’s Own 2018 Barossa Valley marsanne for the early lighter courses, and Punch Lance’s Vineyard 2015 pinot noir for the duck or Wagyu. 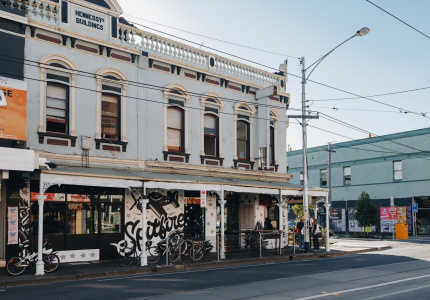 The team is also collaborating with Gembrook Hill on house pinot and chardonnay blends, and with Melbourne Gin Company on a bespoke gin. 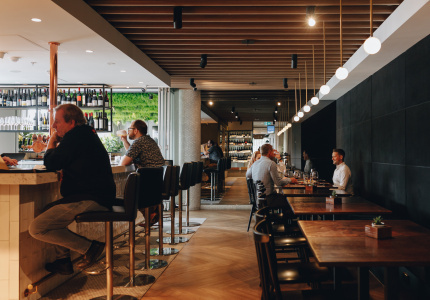 For better or worse, it’s clearly been a year of transformation for chef Ezard. 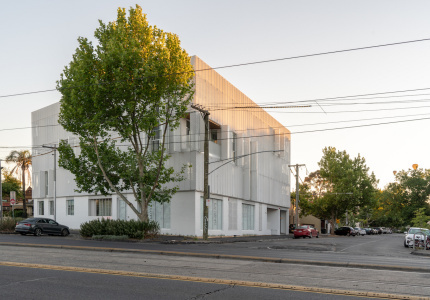 In February, he was accused of underpaying staff at both Ezard and his other restaurant, Southeast Asian diner Gingerboy. An investigation alleged some staff were paid as little as $15 an hour and working more than 60 hours a week. 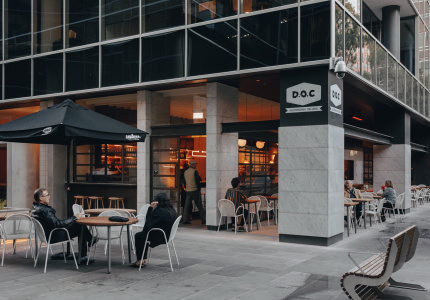 The restaurateur says he is currently working closely with the Fair Work Ombudsman on the claims, and he hopes the matter will be resolved by the end of the year. Back at Ezard, it’s clear that for all the transformation, the personal touches of old linger on. I'm sitting next to long-time regular David, who comes here once a week for lunch, and whose order has remained virtually unchanged: Wagyu (extra jus), Maris Piper potatoes, Coke served from a decanter, end-only slices of bread and a three-quarter latte. It’s unclear whether he plans to try any of the new menu items. But who says new and old can’t exist side by side?